Today we’re continuing the discussion on how to drive traffic that we started last time. The more you post, the more traffic you’ll get. Again, you can’t just throw up a random post — your articles still need to be high quality — but when you post you’ll get much more traffic than when you don’t. My experience is that traffic will be roughly 2.5 times higher on a post day than a non-post day. YMMV, but every blogger knows that there’s a big difference in traffic on a post day. Of course you have to be able to keep up whatever pace you promise your readers. Consistency is more important than adding a random extra post here and there. BTW, missing an expected post is a KILLER. I’ve seen story after story of a blog on an upward traffic path and then the blogger doesn’t post for a few weeks. Traffic drops like a rock and it’s brutal to get it back. In addition to driving immediate traffic, each post is potentially an SEO winner. I think of each article as being a soldier, going out there and fighting for traffic. The more soldiers you have, the better your chances of winning the traffic battle. Launch your site with one post per week. Post it on Monday morning. Work to make it awesome and then market it like crazy. Once you feel like you’ve got that under control and can write more without killing yourself, add another day — either Wednesday or Thursday. Keep at it for a while until you get into a rhythm. Personally, for most bloggers, I think a Monday-Wednesday-Friday schedule is optimal. But I’ll leave your specific schedule to you. 6. Utilize social media to spread the word. Let me begin by saying that your social media efforts probably won’t change the world. They may help a bit, but it takes significant time, effort, and in some cases money to have a large impact through social media. Unless you’re an exception to the rule, social media is not a great way to drive traffic. I know that people are having success with Pinterest these days, but I’m not sure that’s something most people can replicate. Plus you have to be interested in that platform (or pay someone to do it) to be successful there. That’s why my first recommendation for social media traffic is having sharing buttons on your site as we talked about earlier in the series. This way readers can easily share your posts to THEIR social media accounts. This will not only drive traffic but also help to grow your social media followers on the platform used. So get either a plug-in or a theme that will allow you to have social media sharing buttons on each and every post. From there my recommendation is to pick one or two preferred social media outlets and focus on them. This way you concentrate your efforts and have the best chance of having some success in this area. I’m not sure there are a lot of proven ways to build your social media programs other than organically — you get out there, begin sharing great stuff, and others find you. Yes, you can buy followers, but I think that’s a losing strategy. And you could take classes to learn how to grow your social media presence. If they aren’t that expensive and you enjoy it, go for it. Just don’t expect miracles. And of course all of this is free, so any traffic you get simply costs your time. Yes, you can pay to advertise on social media, but I wouldn’t recommend that. I have tried hiring a Pinterest person and it just didn’t work for me. That said, I did recently purchase a Pinterest class and am trying some stuff on my own. We’ll see. I tried Facebook as well, and it did drive traffic, but those people did not stick around, so I ended up paying for nothing. I do think Facebook can be a great way to sell a product, especially if you have good margins. But that’s for another post. 7. Climb the guest post ladder. As noted in the last post, readers you want are likely reading other blogs. One way to get them to notice you is to write guest posts for those sites. 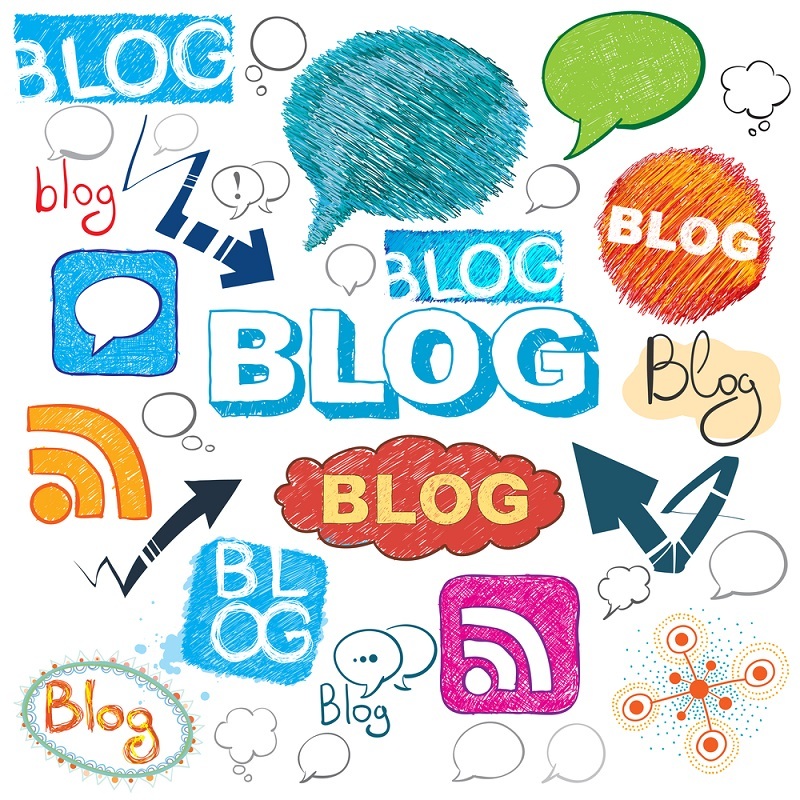 Guest posts are mutually beneficial to you and the host site. You get to post on another site (which includes both immediate traffic and links) and they get a piece of content for free. Obviously you’ll want to maximize exposure by writing guest posts for the largest sites possible. But very few (if any) large bloggers will take guest posts from a site that 1) is very new and 2) hasn’t guest posted for others. Find out who accepts guest posts. These bloggers will be most receptive to your request (versus cold emailing a bunch who may or may not accept them). You can find a list of bloggers who take guest posts in the Rockstar Finance forums private blogger area. Send them a professional-sounding proposal. More on that in a minute. Accept ANY blog that will let you guest post — no matter the size. Write a killer article for them and help promote it. Use this experience to pitch slightly bigger blogs. Repeat the process until you are writing for larger and larger sites. Before you know it, you’re at the top of the ladder writing for the big boys! When you approach a blogger with a proposal, you want to send a professional email. Believe me, they get tons of “offers” and most of them are terrible. You can stand out by looking like someone who actually knows what they are doing — and a great way to do that is to send them a professional pitch email. You don’t have to do all of these and they don’t have to be in this order, but you need to produce something in this ballpark. Hi! I hope this message finds you doing well! I’m the blogger at ESIMoney.com. I noticed on the Rockstar Finance forums that you accept guest posts and I would like to write something for you. *Five Retirement Killers — A list of things to avoid if you want to retire early — or even at all. Avoid them like the plague. *Three Ways to play Good Offense and Defense — From the book The Millionaire Next Door (you could include an affiliate link for it). Will list the three best ways to drive the offense (making money) and three for the defense. *What I would do Differently — Even multi-millionaires have money regrets. I’d list the things I’d do differently if I started over today — things your audience could take to heart and implement to make their finances much better. Any of these appeal to you? If not, let me know the sort of ideas you’re interested in and I can offer some other suggestions. Let me know if this is something you’d like to pursue and we can work out details. The accomplishments stated here may look impressive to some people. Just note that this is my current pitch. It is NOT what I started with. I began with small social media numbers and no guest posts at all — simply who I was and my ideas. As I built my resume over two years, I improved the letter each time and I climbed the guest post ladder. You can do the same but it takes time and effort. Ask for their guidelines. Most sites will have guest post guidelines including the post length, how many links you get back to your site, due date, and so forth. Even if they don’t they will appreciate you asking. Put maximum effort into the post. Do NOT think this is a throwaway post. First of all, that’s not fair to the host. Second, it will do you zero good. Think of it this way: your guest post is an advertisement you are writing for your site to their readers. Do you want that ad to be awesome? Do you want that ad to be so great that TONS of readers come your way? Or do you want that ad to be a weak effort that makes the readers wonder why they’d ever want to visit your site? Personally I put MORE effort into guest posts than my own posts for these exact reasons. Interact with readers in the comments. Both readers and the host will appreciate this. Follow-up. A few days later, thank them for the opportunity and ask for feedback. Not only will this effort drive traffic and get you links (which help with SEO), but some of the larger sites have their posts picked up by HUGE sites. That’s where the traffic can be more amazing than you might imagine. Once you get to a reasonable size, people will want to do guest posts for you. And when I say “people” I’m talking about other bloggers, not the spammy “I’ll write a post for you with a link back to my pay day loan site” sort of offers you’ll begin getting on about day five of blogging. Having someone guest post on your site helps with your content strategy (it’s one less post you have to write), but you can also benefit traffic-wise by getting links, having them promote the post, or even trading guest posts. Be very clear that the post is subject to your approval. Otherwise you may get poor quality and feel like you have to run it. Let them know that if it’s not acceptable, you will offer suggestions but they will be responsible for making it right. I’ve had guest posters tell me to go ahead and re-write it so I liked it. Uh, who’s doing the guest post here anyway? Let them know you expect grammar to be good, spelling correct, etc. Give them any sort of guidance on what your readers may or may not like. Certainly approve the title and subject of the post. Be sure to include a minimum word count (I suggest 1,000 words) and a maximum (I go with 4,000, but you may want a lower number). Be clear how many links they get (I go with three) and be clear on the sort of things you’ll link to (like articles that are regular posts, add to the post content itself, and are not filled with ads/affiliate links). Ask them for a bio to introduce them to your readers. Let them know you may edit it. Give them a deadline and an estimated time when you’ll post it. That covers all the set-up steps. Let them know when it will post and what the URL will be. Encourage them to visit a few times the first few days after the post to interact with readers. Make sure they promote the piece as agreed. Thank them for their effort. If done right, hosting guest posts can offer many great benefits and be a pleasing experience for all. The key is to set clear expectations and make sure those are fulfilled. 9. Get free traffic from Rockstar Finance. If you’re a money blogger, this site is a goldmine for you. Sign up your blog for the Rockstar Directory. The directory lists your articles on its feeds page. This has a couple benefits. First, many readers peruse these pages looking for great articles. Second, the Rockstar Finance team reviews these feeds as the top source for selecting features on the site and in our weekday emails. Write Rockstar Content. We’ve talked about the importance of writing great content and this is one way it can pay off big-time. If you write Rockstar Content and your feed is part of the directory, it’s likely you’ll get noticed. This is when great things can happen: First, you could be selected for a Rockstar feature which includes a site posting, a link at the top of the weekday email, Facebook and Twitter shares, and possible syndication (if you’re one of the best posts of the week or month). Second, if you’re not featured, you could still be listed as a noteworthy post on the email (this is in the lower portion) and shared on Twitter. Third, even if you don’t make it on Rockstar, I still share 10-20 of the “close” posts most days to my 10k Twitter followers. These results could deliver anywhere from a good number of extra visitors to several thousand. 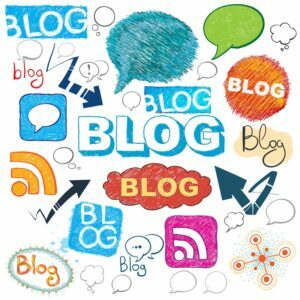 Participate in Blog Share Mondays. On the first and third Mondays of every month, we set up a message in the Rockstar forums. Bloggers leave a post they want shared on social media and then share the posts from other bloggers who leave theirs. This can add up to several hundred new visitors to your site and all you have to do to participate is share/help others. Get involved in special events. Now and then Rockstar Finance has special events to help bloggers grow traffic. A great example of this is the Rockstar Rumble, a contest among bloggers to select the best post of the past year. It’s a lot of fun and every round adds more traffic. We will be launching several more ideas like these to drive traffic. Stay tuned. 10. Get paid traffic from Rockstar Finance. In addition to our free programs at Rockstar Finance, there is a paid option for bloggers who want to invest in growing their blogs. The first in that effort is the VIB program announced earlier this year. It promises certain benefits in exchange for a monthly fee and features three levels to give bloggers choices on their goals and budgets. And I promise that these bloggers will receive MUCH more than what they were promised. My intention is to make it the very best traffic-driving investment any blogger can make. The program was open to all money bloggers in February and is now closed while we work with the current members. In the future, there may be openings, so if you’re interested, shoot me an email and we’ll add you to our waiting list. In addition, we’ll be coming up with additional programs like this in the future, so again, stay tuned. That’s it for this time. Any questions or comments? To read the last post in this series see Five Steps to Creating a Winning $25k Blog, Step 5: Deliver Revenue and Profit. Thanks for the ideas, ESI. I think driving traffic is challenging. In my experience, this is not because you can’t do it…it’s because it takes time. Blogging is an art of patience. Put the work in, follow the ten steps you outlined, and repeat. It’ll eventually pay off (or so I am told). I’ve enjoyed using the VIB program and the opportunities it affords. Now I am going to go find my next guest post! I really appreciate you breaking this down into bite-sized morsels, especially when it comes to launching/posting. It is doable. Interesting input on social media. I recently heard a popular blogger say they only use one social media platform but are very active there. Better to do a lot on a little rather than a little on a lot. Rockstar Directory, VIB program – this is all new to me. Thank you for sharing! Appreciate this reinforcement, ESI. I couldn’t agree more with respect to consistency. My numbers were pretty sparse until I really buckled down and stuck to a twice-weekly cadence. On top of that, hitting expected days can be equally important. If your readers expect Monday-Thurs, you should do your best to make that happen. I’m also on the fence with Pinterest. It takes a bit of effort to get some marginal traffic. But I guess all it takes is one pin to go “viral”, from what I hear. As always spot on ESI. Especially with the comments about social media. You can spend all your time marketing there with very little to show for it. Ive been seeing people trying question and answer sites like quora. Any thoughts on how effective or not that is? If it is a very common question and you have top answer, then you will continuously see people come to your site from it! I think it’s like anything else that’s speculative: COULD you get high traffic? Yes, it’s possible. Is it likely? Probably not. It’s even seen in Chris’ answer: IF it is a common question and IF you have the top answer, you can see traffic. Neither of those sound likely, so I don’t put much time/effort into them. I prefer to go with things that have a better likelihood of producing traffic even if the upside is a bit smaller and takes longer. I think if you take steps that work for most people and do so over a good period of time, you will get traffic results. Write unique content, share your own experience (like you did in this post)…otherwise, why would anyone pay attention to you? Share value, post educational content, answer on some unanswered questions…in short teach people. I am more of a hobbyist blogger who enjoys posting once a month, reading and commenting on other blogs … but what you say seems to be pretty much true…good frequent posts, commenting on other blogs, Rockstar etc …from your friendly multi millionaire expat overseas teacher CPO .. Happy Easter! Thanks for sharing all this! And climbing the guest post ladder… I think I’m still figuring out the rungs of that ladder, but I have three scheduled in the next two months so I’m excited to see what that does for my little blog. I had no idea there was a feeds page on the Rockstar Directory that was filterable!! I will definitely use this when I’m looking up interesting posts to read. Thank you ESI!